Melanie joined Synergy Global in 2018 as Team Leader - Health & Wellbeing. She is an RN with over 30yrs experience, originally UK trained - migrating to AUS in 2000. Since her arrival, she has worked in various clinical & management roles in both Public plus, Not-for-Profit organisations. Her belief that health & social care must be addressed together in promoting high quality & equitable services to all, fuels her passion in the healthcare arena. Recognising changes in the health landscape, she works to identify opportunities, promoting innovation & responding to changes in client perspectives of clinical/social requirements/expectations, & funding avenues. At present, she provides her own assessment, care planning, & advocacy service to clients on the Gold Coast, QLD & in Northern NSW, providing clinical & social inclusion for all. With Synergy Global she will be Project Managing a range of Organisational Development Programs with Healthcare Networks & Government Departments/Agencies, plus larger Not-for-Profit Clients. She share’s Heather-Jane’s passion for being a Patient/Family Advocate & with a sound clinical & managerial background in healthcare, offers both IQ & EQ – listening & questioning to ensure a clear understanding of what is very often, a complex situation with many key stakeholders. As a Care Management Nurse for BUPA, Melanie oversaw service provision for members receiving cancer & palliative care, in addition to specific clinical support for customer & service departments. During this time her main achievement was identifying a need for; & the creation of, a one-stop-shop for patients with breast cancer to promote best practice, quality outcomes, & financial savings. This led to working with the Hospital’s Leadership Team to negotiate funding authorisation for high cost stem cell & bone marrow transplantation, expensive chemotherapy, & Clinical R&D Protocols. 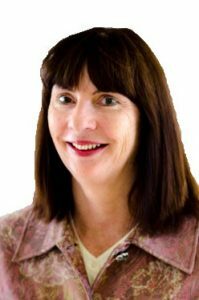 Melanie is a member of The Royal College of Nursing AUS (RCNA); Nurses in Management Aged Care (NIMAC); Australian Practice Nurse Association (APNA); Cancer Nurse Society Australia (CNSA); Queensland Wound Care Association (QWCA); & the Australian Practice Nurse Association (APNA). Heather-Jane & Melanie both know that the AUS Government are keen to improve Palliative Care & Community Health Services, so, they are collaborating on an initiative to help – if you are interested in this area please get in touch. Melanie lives with her husband on the beautiful Gold Coast, QLD. Outside of work her interests include:jewellery & crd making, dog walking & photographing the amazing local coast & hinterland.